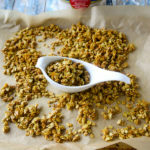 This combination of flavors makes an absolutely delicious, simple granola – the slight sweetness from honey, subtle turmeric spice, a touch of salt. 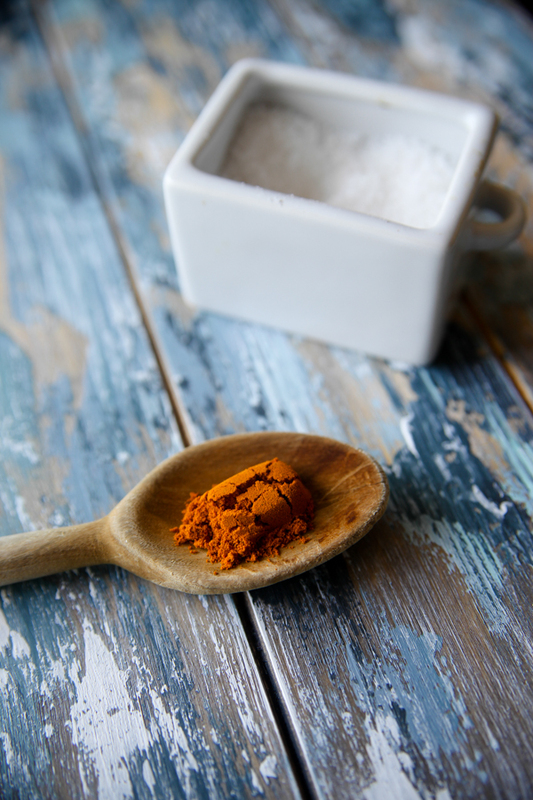 Turmeric is the spice that makes curry yellow that has been used in India for thousands of years. 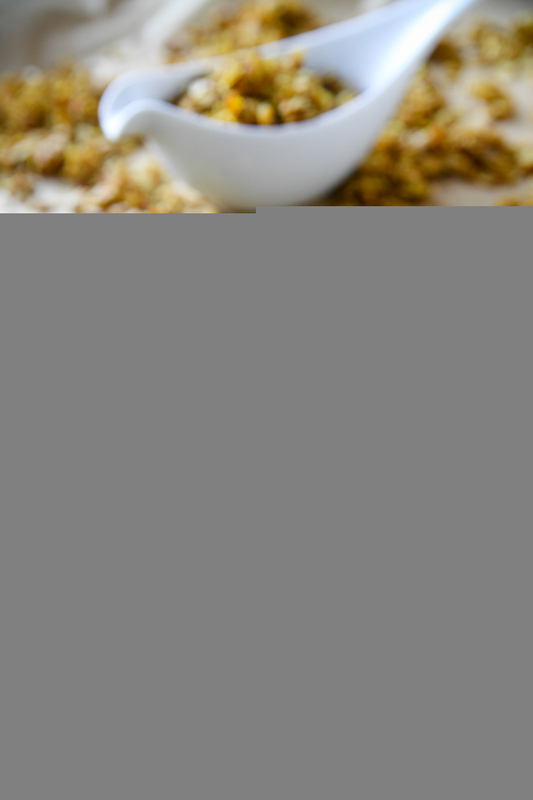 It’s delicious used in everything from savory tofu dishes to the golden lattes everyone’s been drinking. 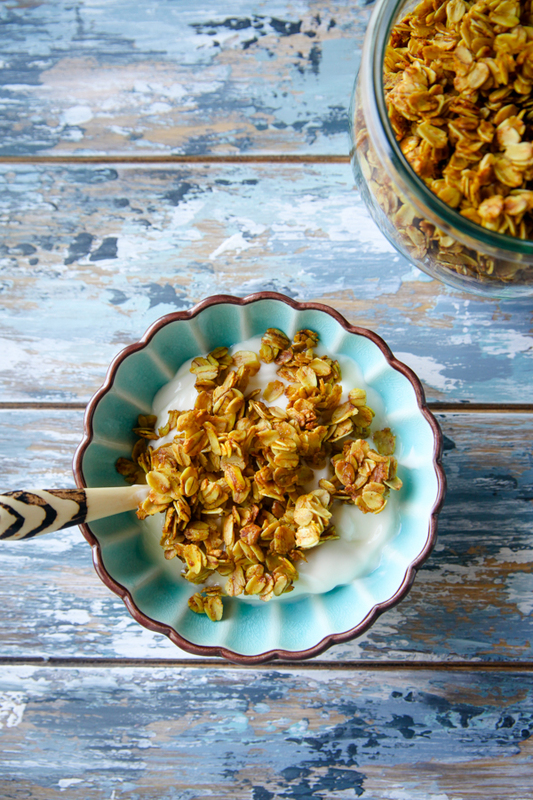 Add granola to that list! 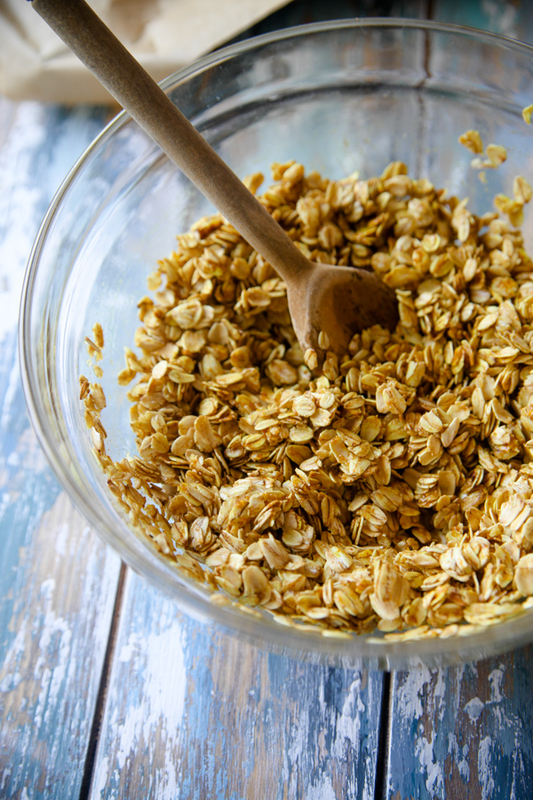 With 4 grams of fiber per serving, oats are a convenient source of fiber, which can help support digestive health and keep food moving through our intestines! A diet that includes 25 to 30 grams of fiber a day from a variety of grains, fruits and vegetables may help support a healthy digestive system. To get started, preheat your oven to 325 degrees Fahrenheit. 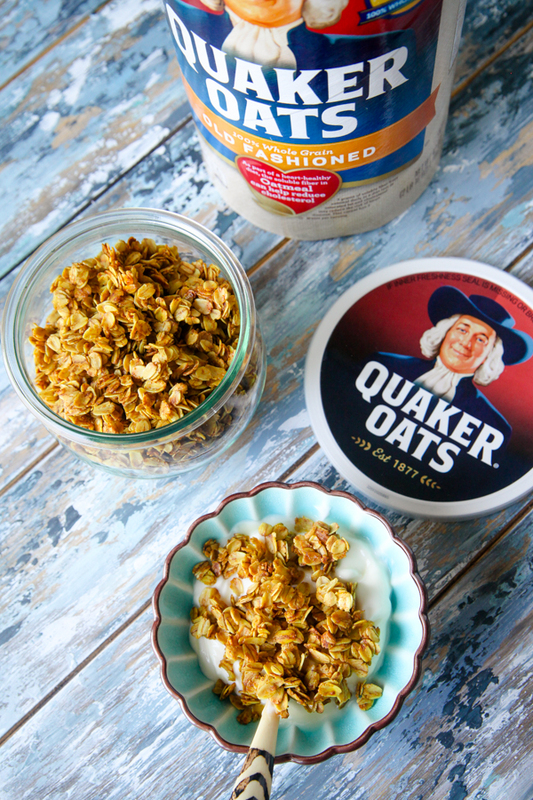 I gave the oats a pre-toast to get the extra crunchy. I think this is a technique I will continue to use! Toast them for 5-7 minutes and allow to cool slightly. Meanwhile, combine honey, oil, turmeric, cinnamon, and salt in a medium bowl until well mixed. 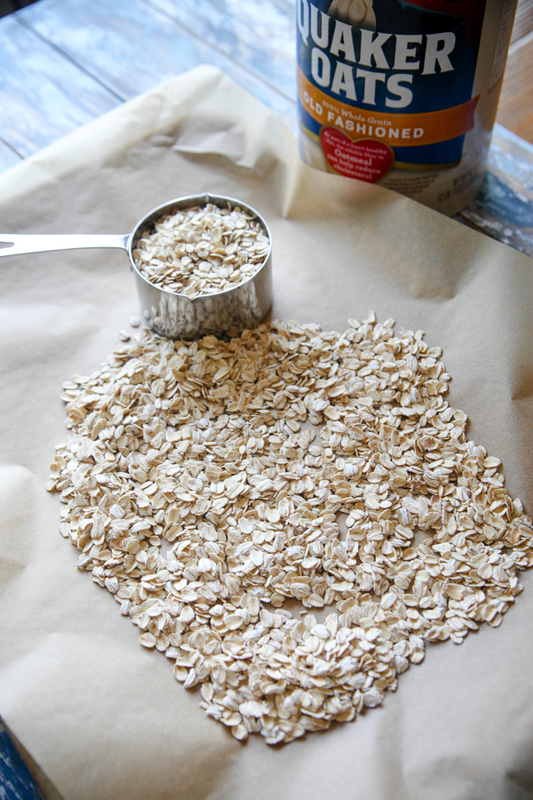 Add oats and stir until every oat is coated. 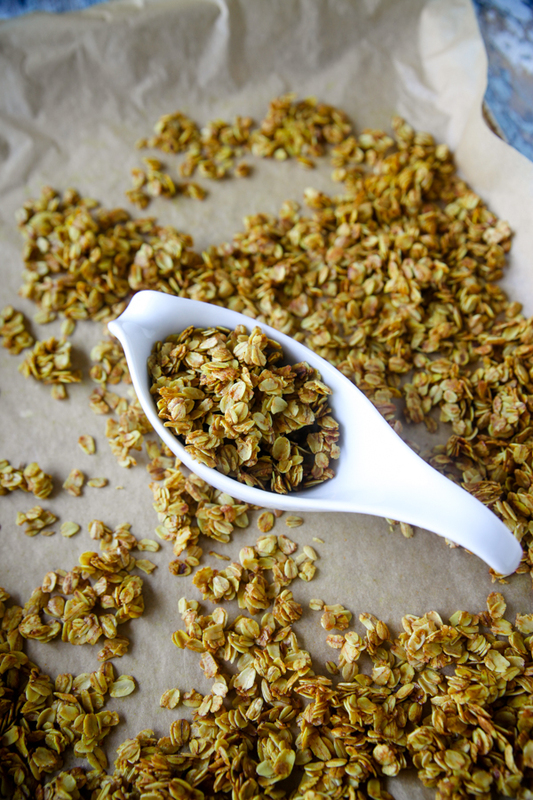 Spread granola back out on parchment and bake for 10 minutes, stir, and bake for 5 minutes more. Cool completely before stirring, which will allow some small clusters to form! Enjoy a million ways, including straight from hand to mouth! Feel free to stir in some dried fruit such as raisins or chopped apricots if you want. 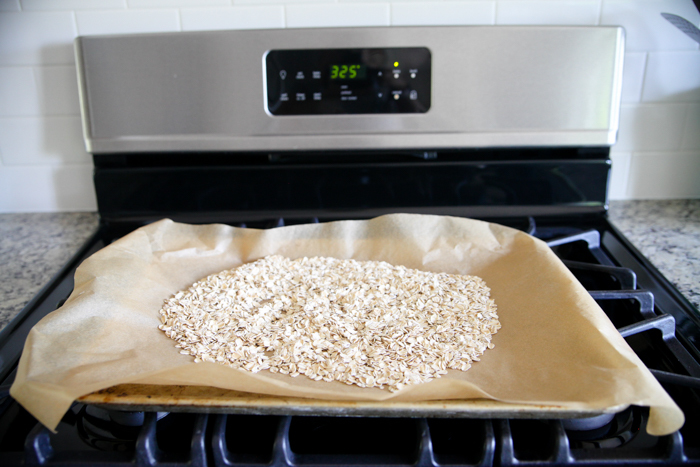 Cover a sheet pan with parchment paper and spread oats across. Toast oats for 5 minutes, or until oats start to brown, and slightly cool. Spread mixture back out on parchment and bake for 10 minutes, stir, and bake for 5 minutes more, until oats are golden brown. Allow to cool completely before storing in an air-tight container. Yes!! Should have added those! I like the look of this and will definitely try. 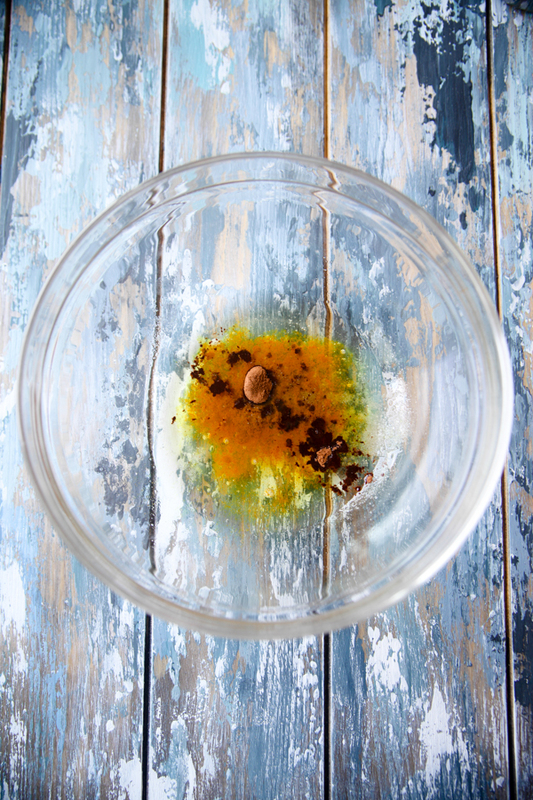 Could I use sunflower oil in place of the canola oil? I’m not so keen on it, although I’m sure the yellow colour would help achieve the golden result. Yes definitely. Any neutral oil will be great! Yum!! I want to incorporate more turmeric (my Indian dad tells me all the time how good it is for you 😉 – I like this sweet spin on it!! I think coconut + raisins would also be great additions! Kath, this is so simply yet sounds so perfect! I’m making it asap for us! I’m a huge fan of turmeric for the color and flavor. Something Alexis of Hummusapien taught me was that adding black pepper helps the body to better absorb the health benefits, so I plan to add a small amount plus a pinch of ginger. Then I’ll eat it on the daily. 😉 Thank you! How creative! I love simple recipes that add a nutritional punch. 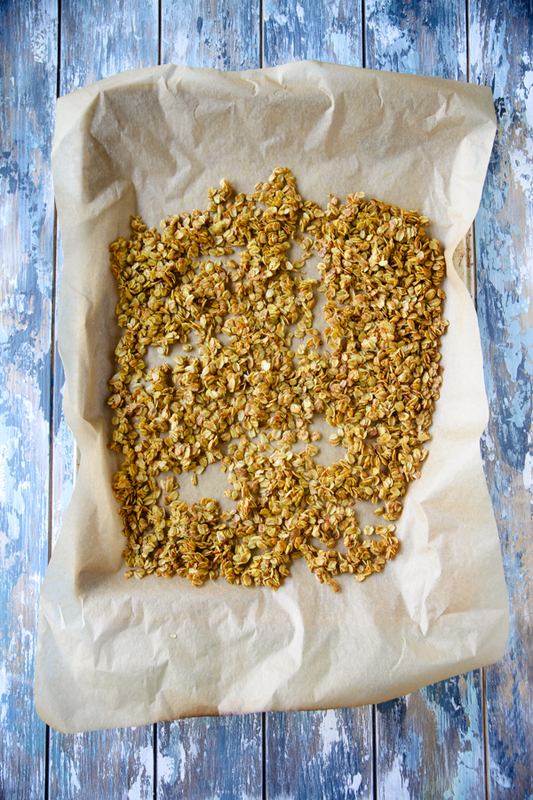 Golden raisins, dried mango bits, toasted walnuts…. yum. Would it be excessive to consume turmeric powder if I already curry powder in my food? I just made this because I had all the ingredients on hand and it was way too salty! I would suggest changing it to a pinch of salt. Did you use a coarse grain kosher salt? Not table salt, correct? Thank you for this post. 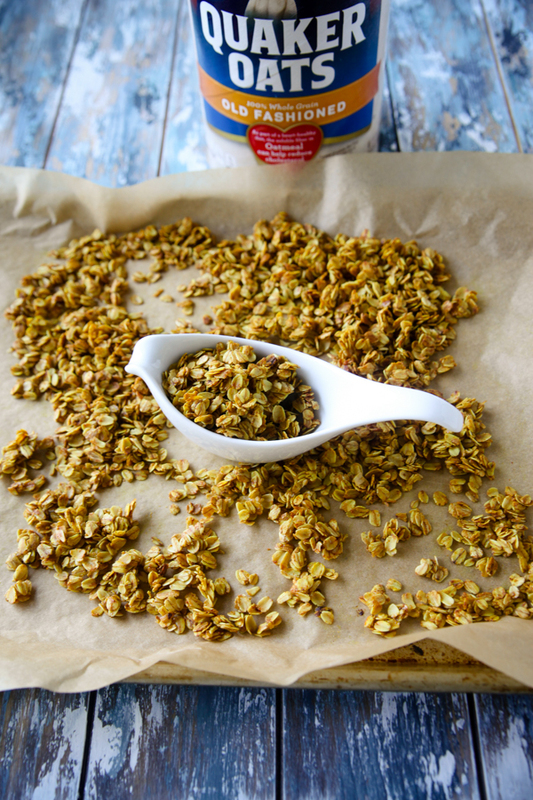 I have wondered about how to do granola and this is a start. Turmeric is something I have not used to cook at all, but really should start. I have a big container just looking at me. Do you play around by adding pumpkin and/or sunflower seeds and nuts too? Blueberries or raspberries?